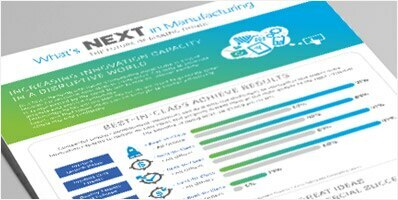 Top performers unlock their capacity to innovate to launch quality products on time and with increased product margins. Innovation isn’t just a matter of having great ideas, but also the capacity to bring them to market and make them a commercial success. Capacity to innovate is often compromised by the need to win contracts, deliver existing projects and service customers. By harnessing new technology to effectively drive innovation, successful product development companies can deal with the challenges of unlocking innovation capacity, delivering on new ideas, and getting to market with the right quality to the right customer. Great ideas can come about at any time, anywhere and from anyone inside and outside your organization driving the need for optimal collaboration and appropriate processes to capture, follow up and evaluate these ideas. Product development and engineering departments can reap the benefits of improved automation and higher process consistency to concentrate on winning profitable business or improve modularization strategies.